More with Music: I learn something new every day! 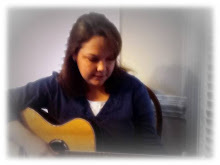 February was packed with many songs and many music therapy sessions for me. I always wonder where all the time goes, but I have yet to figure that out. One of the great things about working in a public school system is that I find myself learning something new every day. Recently, I learned that there are more than four oceans. That's right- now there's five! (I was amazed, intrigued,shocked,etc. too!) But, after double checking the info, I discovered it to be true. The 5 oceans are the Arctic Ocean, Atlantic Ocean, Indian Ocean, Pacific Ocean, and Southern Ocean. A couple of years ago, I wrote and recorded a song to help students learn that there were four oceans. Today I'm sharing the most recent version of that song, which includes the fifth ocean. As always, thanks for stopping by and stay tuned for another post next week.